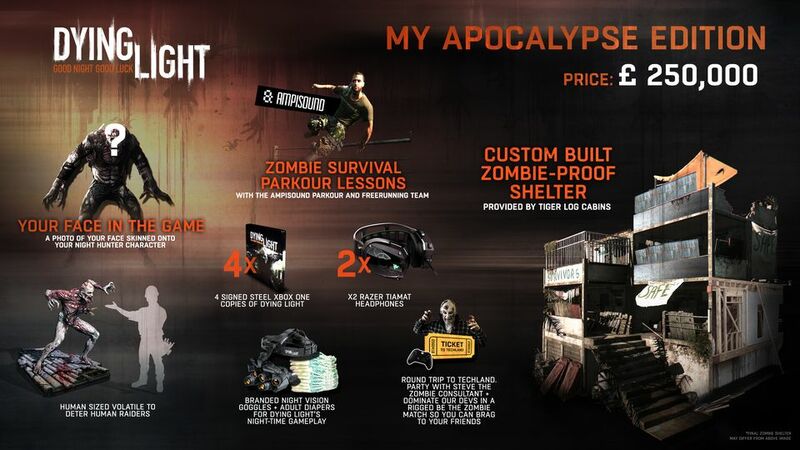 Dying Light has yet to release in the UK (you can find our review for it here), but in anticipation for the games arrival (and in an effort to boost up some hype), Techland has announced what could possibly be the special editions to end all special editions. Zombie avoidance parkour lessons with Ampisound, the team behind the internet smash Dying Light Parkour POV video. If you’re a big enough fan (you’re probably not), you can head over to Game’s Dying Light link, although the insane edition won’t be available until tomorrow. Should you be crazy (read: dumb) enough to get this, let us know how it goes!